Powers: Frenzy has superhuman strength enough to rival she hulk and invulnerability making her immune to gun fire, temperature change and almost impossible to hurt. Nothing is known of her youth except she has a younger brother whose name is Gareth. She became a mercenary early on and had a brief fling with the x-man Gambit. She came to be recruited by Apocalypse into his alliance f evil and clashed with the original X-factor. They were defeated numerous times until they were abandoned by Apocalypse and the group separated. She then joined with Nightshade in the femizons but when their leader was killed they disbanded. Under Magneto however she found her true calling, fighting for mutant rights. 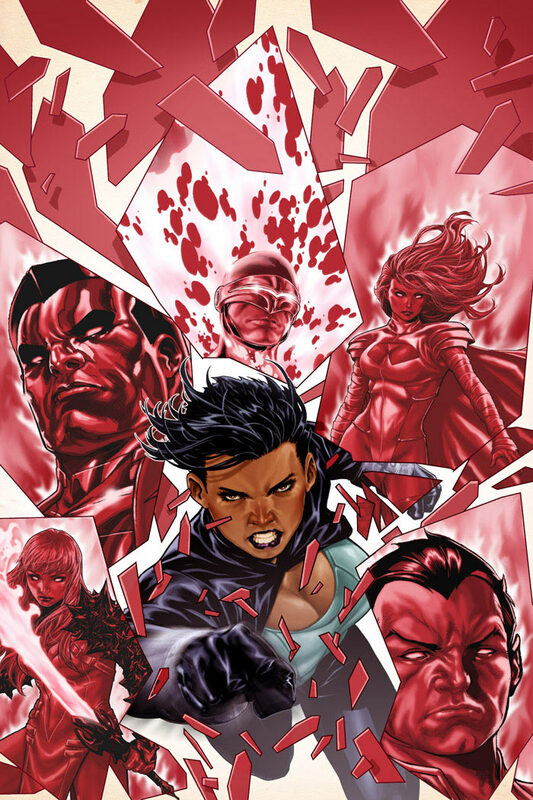 When Avalon was destroyed she joined with Cyclops to save as many lives as possible. Surviving a crash landing on earth she and her fellow acolytes were turned over to the authorities though they later escaped and attacked Wundagore under Exodus. Clashing with the avengers they were driven back. When magneto returned and took control of Genosha for her unswerving loyalty she was given the rank and title of Ambassador of Genosha. In this capacity she defeated She Hulk though she was later captured by the U.N. With the X-men defeated by Magneto, Cargill found herself rescued by Jean Grey who took control of her mind and had her take the new x-men straight into the heart of Genosha. She survived the bombing of Genosha and M-day to become a member of the new Acolytes with new gal pal Tempo. In the battle she was injured and rendered comatose. Prof-X helped her regain consciousness only for the new acolytes to disband. Now an endangered species she and a few others joined Cyclops in San Francisco on the newly formed Mutant haven Utopia. She also befriended fellow villain Nekra. During Age of X she fell in love with Cyclops/Scott Summers but when reality returned to normal he remained with Emma Frost. Filled with a new lease on life she decided to join the X-men at all costs. After Schism she sided with Wolverine and became a teacher at the Jean Grey School. She and Gambit then resumed their physical relationship.